Osvaldo has been practicing homeopathy since 1998. He was certified in Classical Hahnemannian Homoeopathy by the National College of Medicine and Homeopathy (Mexico). After completing a rigorous 7 year degree in Medicine and homeopathy he further specialized in classical homeopathy with the Homeopathic Mexican Foundation. In addition, Osvaldo spent more than 1 year practicing in the National Homeopathic Hospital (Mexico) the largest Latin American hospital of its kind. Osvaldo is also certified by the Australian Register of Homeopaths (AROH). He has attended and presented seminars with internationally renowned homeopaths to further his professional development. After gaining his B.SSc degree in Medicine from the National College of Medicine and Homeopathy, (Mexico), Osvaldo worked in many hospitals as a general practitioner and trained for several years to focus on research. 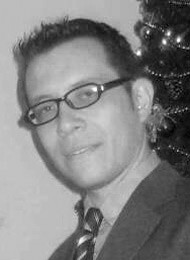 Osvaldo has qualified as a homeopath and developed a successful practice in Sydney as the culmination of a lifelong interest in homeopathy (chronic and acute illnesses), nutrition, cancer management and multiple sclerosis management. Osvaldo sees men, women and children of all ages in his Sydney office, and has experience in treating a wide variety of ailments including cancer, mental disorders, emotional disturbances (anxiety, depression), nutritional problems (obesity, overweight and malnutrition), digestive problems, menstrual and menopausal symptoms, and behavioral issues in children.